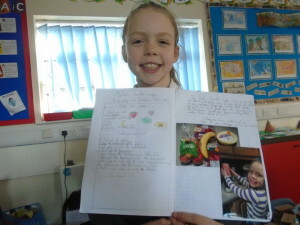 I would like to say thank you very much to all of the parents and grandparents who have been busy helping the children with their homework this half term. 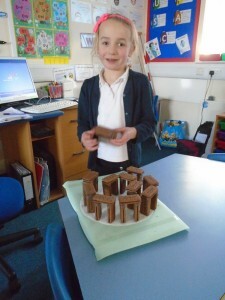 The things that the children have made, found out and written about in the form of letters, PowerPoints, leaflets etc has really amazed me. 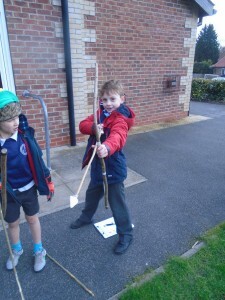 In my 20 years of teaching I can say that I have never ever had children knocking on my door first thing in the morning desperate to show me their homework! 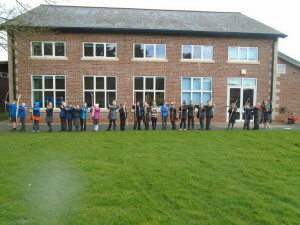 I know that some of them have taken some adult input and I wanted to thank you personally for that. 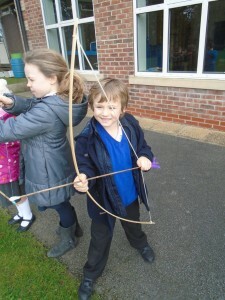 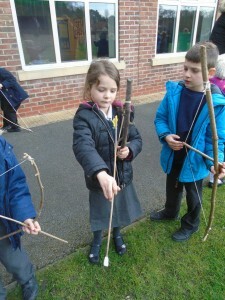 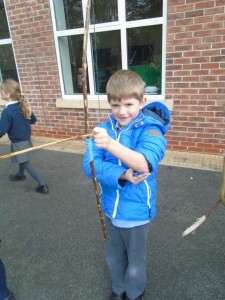 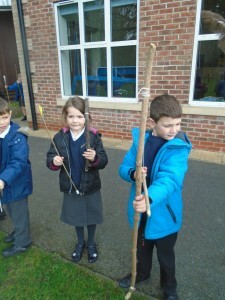 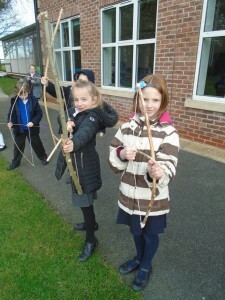 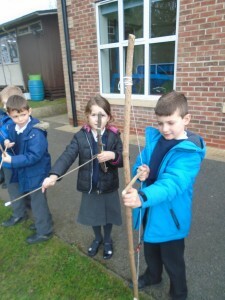 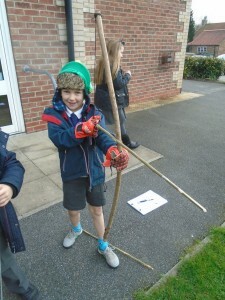 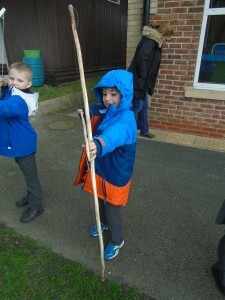 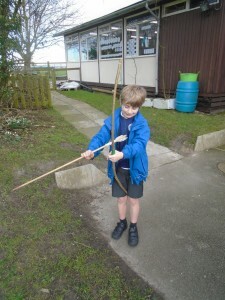 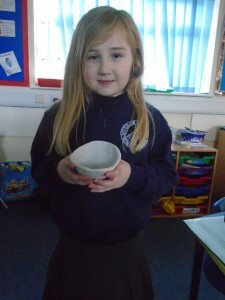 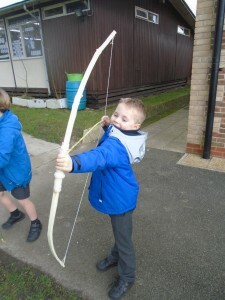 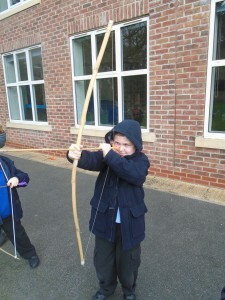 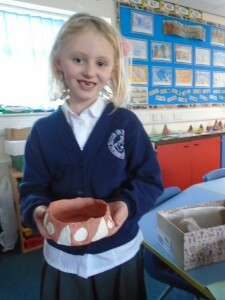 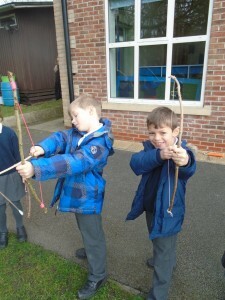 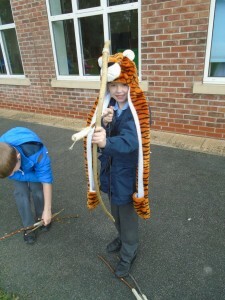 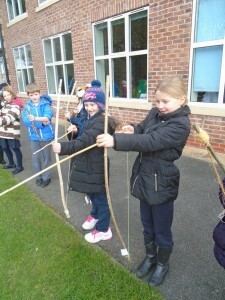 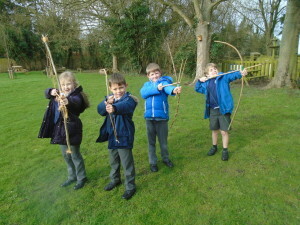 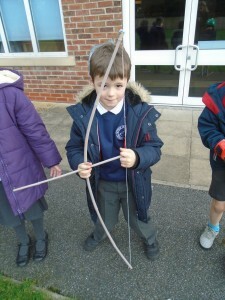 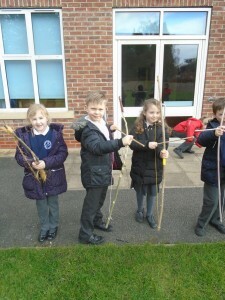 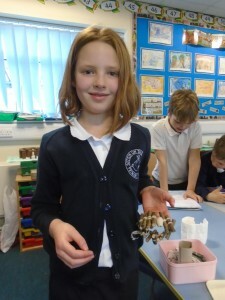 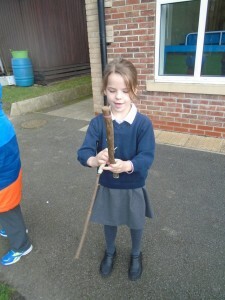 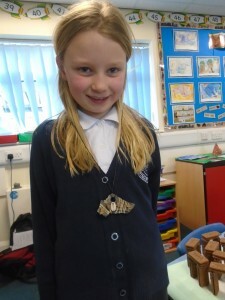 Special thanks go to all of the parents and grandparents who helped the children with making their Bows and Arrows. 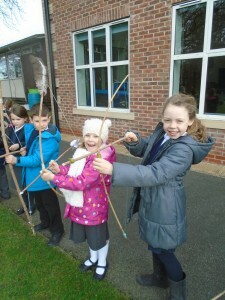 I have a feeling that they are going to get lots of use over the next few months!